So true, it's harder to cook and please others and we pinoys tend to always eat and like the same thing over and over again! LOL! Thanks btw for letting me know about my comments section fixed the gliche already! ok let me hop over to your blog and check it. 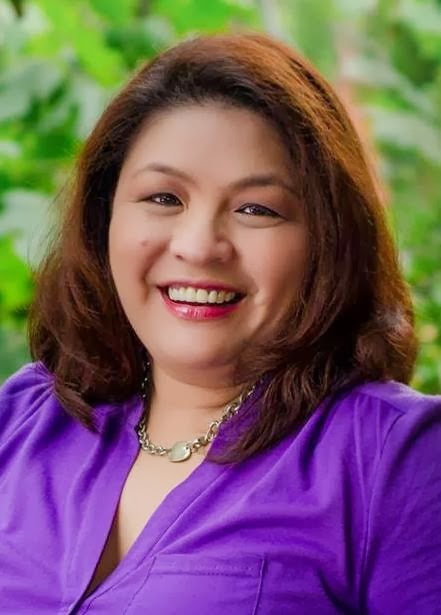 Now Malou you made me hungry. I love stuffed peppers. My stuffed peppers look limp all the time. I noticed that you didn't parboil it. Maybe I should try that. Hi Helena! Yes I didn't boil it. I really want my peppers to be firm. I also don't mind that the bottom gets charred. It gives an earthy flavor. Thanks for the comment. I wish the prices of bell peppers are cheaper. It's so expensive here. I only use green ones because they are cheaper. Yours are so pretty and absolutely healthy. I was lucky that I bought the peppers on sale. I was surprised too how cheap they were because normally they could be pricey. 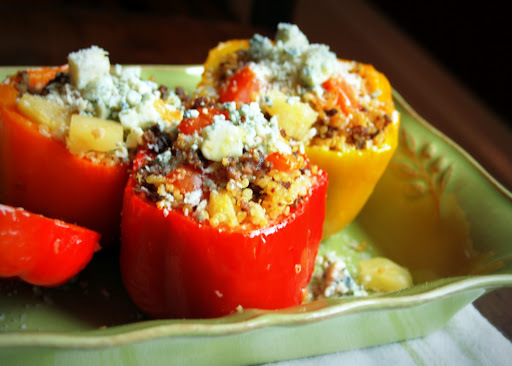 Great take on stuffed peppers! The quinoa is a great idea. And I love the idea of Gorgonzola - what terrific flavor it must have added. Really nice - thanks. Yes the Gorgonzola added some sharp notes. Love it. Thank you for the comment. I like bell peppers, they not just taste good but also look great, nice to serve such things fort guests. I love the colors so festive. Indeed it's a great dish to serve for guests. Thanks Medeja! 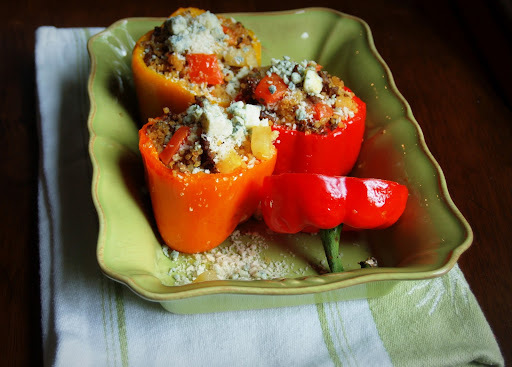 Stuffed peppers are one of my favorite things but I've never used quinoa. I'm going to try it! Thanks Maureen. As I've said in my post, I love to sub quinoa with my rice. It feels lighter and healthier. Fly over here when I'm alone, I bet we will have a great time haha. Thanks and let me know how it goes. Promise! 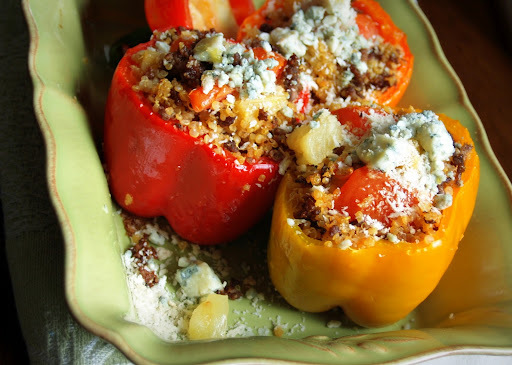 Love this twist on a classic stuffed peppers dish! yay Marnely so happy to see you! I knew it hehe. I would think that you will be thinking of some silly ideas haha. THanks for the compliment Ray. It means so much to me. Great to see you back! yes I did add ground beef. Does it look chunky to you? hihih but no i't sactually ground. I'm glad that you get your peppers cheaper than all of us. I checked today at the grocery ctore and boy did it increase again tsk tsk. It's getting warmer here... im glad thanks for asking! Quinoa is so versatile, once you start using it will grace you table more often. I like to cook my stuffed pepper until they almost collapse. I put a little stock in the cooking pan and some olive oil over the top to stop them from drying out.